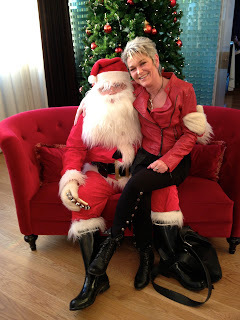 Me and my creator Gegga are pretty sure that The Santa is real, ... not just some fairy tale - told to children! We are also pretty sure that God is real. Our belief makes our life a lot more wonderful, joyful and happier than it would be without those guys. But to be honest, we don't really belief that God is somehow more a guy than a girl. We belief that God has no special gender at all. How could she, if she is all in everything - everywhere - all the time? ... Then he must be ALL THERE IS! ... doesn't that make sense? Jesus (and other masters as well) told us that we are all CREATORS - with the ability to change everything ... make miracles in our lives. Can you belief that? Imagine how your life could be if you belief it? PEOPLE YOU ARE ALL MOTHERS OF GOD - BECAUSE GOD ALWAYS NEEDS TO BE BORN! Merry Christmas to all of you - everywhere!